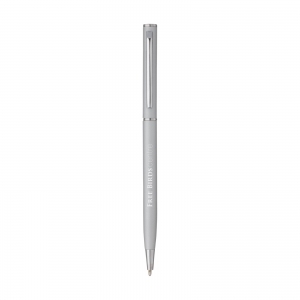 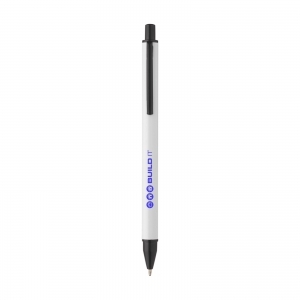 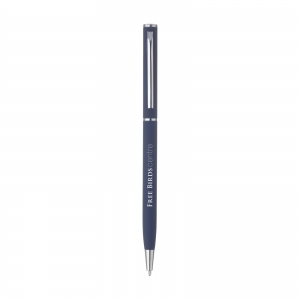 Blue ink, aluminium ballpoint pen with slim barrel. 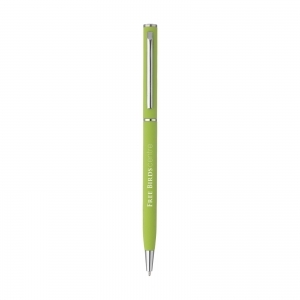 With a rubberised finish and metal clip, tip, ring and top. 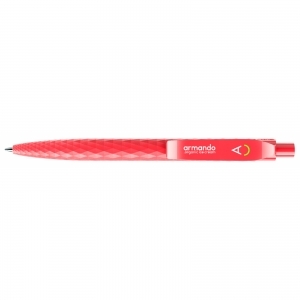 To order an unprinted Delgado pens, please complete the details below.